Brand Identity and Business Card design. 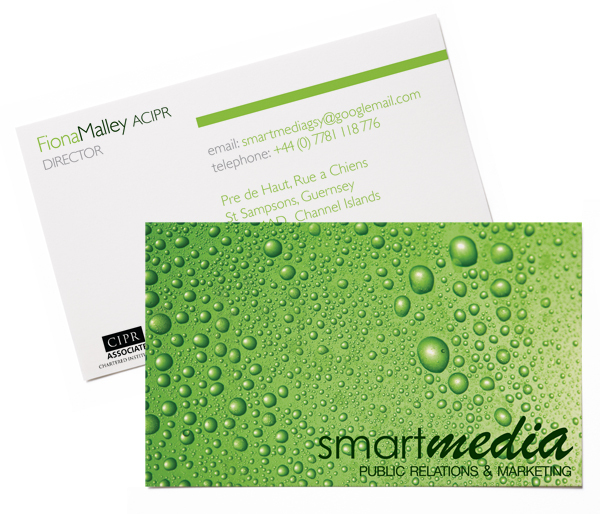 In December 2008, PR and Marketing consultant Fiona Malley launched Smart Media, a business handling the provision of public relations and marketing, and other services that include copy-writing and proof reading. As an Associate Member of the Chartered Institute of Public Relations, Fiona has experience in working with a wide variety of clients that encompass both the finance and commercial sectors. The decision to launch Smart Media was made when she recognised businesses were faced with the difficult choice of requiring strong external communications, but being forced to cut back on the budgets that so often help to make this possible.